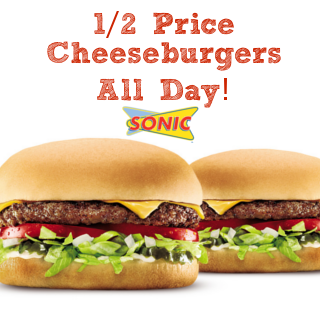 Grab half-price cheeseburgers all day today at Sonic. Swing by during Happy hour, between 2-4 PM, and you’ll also nab half-price drinks! Score!